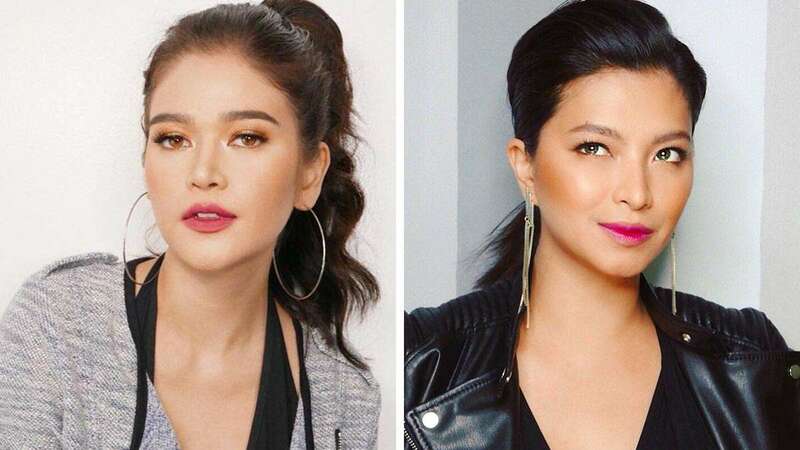 Bela Padilla’s relationship with her ex Neil Arce has been a hot topic lately during the actress' press junkets for her rom-com Meet Me in St. Gallen. Bela has this to say regarding her past relationship: "Ang tagal na po n'un. Parang huwag na lang natin pagusapan kasi baka sabihin niya ginagamit ko siya sa promo." In the show Magandang Buhay, Bela finally opened up about the reason her almost five-year relationship with Neil came to an end. She said, "Pinili ko talaga work, wala akong ibang pina-prioritize." At the press conference of her new film with Carlo Aquino, Bela talked to PEP.ph about the status of her friendship with Neil. When asked if she regrets anything, she responded, "Parang hindi naman ako gagawa ng mga bagay-bagay na hindi ko muna iniisip nang iniisip. At na hindi ko rin inisip 'yung kapakanan niya." The 26-year-old actress and screenwriter shared that she and Neil remain friends, especially since they continued to work together even after their mutual decision to break things off. "Kahit noong bagong break kami, nagtrabaho na kami two days after. Hindi kami puwedeng maging awkward kasi gusto namin parehas 'yung trabaho namin. And parang ang daming involved 'pag shooting, e, hindi 'yung kayong dalawa lang. So, hindi ka puwedeng maging selfish na iniisip mo na, 'Ay, ayoko siyang kausapin.' Hindi puwede 'yung ganun." As for her relationship with Angel Locsin, Neil's girlfriend, Bela told Pep.ph: "...Wala talaga kaming problema sa isa’t isa." The last time Neil and Bela collaborated on a film project was in the 2017 film Last Night with Piolo Pascual and Toni Gonzaga where Neil was the producer and Bela was the screenwriter. When asked if she would invite her ex to watch the movie, without qualms, she said, "Iimbitahan ko talaga sila, iti-text ko sila pag malapit na. Hindi ko alam na baka may taping si Angel. Baka may trabaho rin si Neil. Kung wala, I’d like to invite them." She added, "Alam kong kaibigan din nila si Papa P. [Piolo Pascual], si direk Joyce [Bernal], si Erick [Erickson Raymundo], si direk Irene. I’m sure gusto rin nilang suportahan 'yung mga 'yun." The young actress is presently single but was recently linked to former TV co-star Zanjoe Marudo. But is she entertaining suitors right now? She admitted there are those expressing interest and intent, but she has yet to find a good match. "Hindi ko pa nakikita na tama 'yung mga taong nasa paligid ko right now. Parang walang swak kumbaga." Bela remains focused on her career. After her latest movie, she is slated to work on a new one and she is more concerned about preparing for her projects this 2018. She shared, "Tapos na kami ng shooting December  pa lang. So, humingi ako ng leave, nag-extend ako sa Europe nang tatlong linggo. So, 'yun, nag-ikot akong mag-isa. Parang nagpi-prepare ako for 2018. Kasi, right after this, may uumpisahan akong bagong movie ulit. So, gusto ko relax lang ako, chill lang ako."